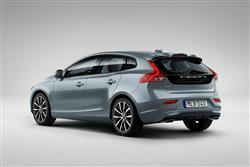 Volvo's sleek V40 is now more affordable than ever when teamed with the brand's 'Drive-E' T2 petrol engines. Jonathan Crouch reports. The Volvo V40 T2 returns a combined fuel economy figure of 51.4mpg, emissions of 127g/km and costs less than £20,000 with a few options ticked. The 122bhp 2.0-litre 'Drive-E' engine you get in manual models doesn't want for torque and the whole package hangs together extremely well, especially in this restyled guise. The small Volvo has come of age. Volvo used to be a desirable marque. It was desirable to physics teachers, metallurgists and those with a pathological fear of vehicle accidents. It wasn't a brand that sparked great outpourings of desire for most of us. They were the cars that spawned the infamous ""they're boxy but they're good" tag line from the Dudley Moore movie Crazy People back in 1990. Then something happened. Or more to the point, Peter Horbury happened. The British designer changed the way we thought about Volvos. They weren't boxy any longer, merely good. It took quite a while for the desirability to filter down from the handsome range-toppers to the more proletarian models in the line-up. But that happened too. 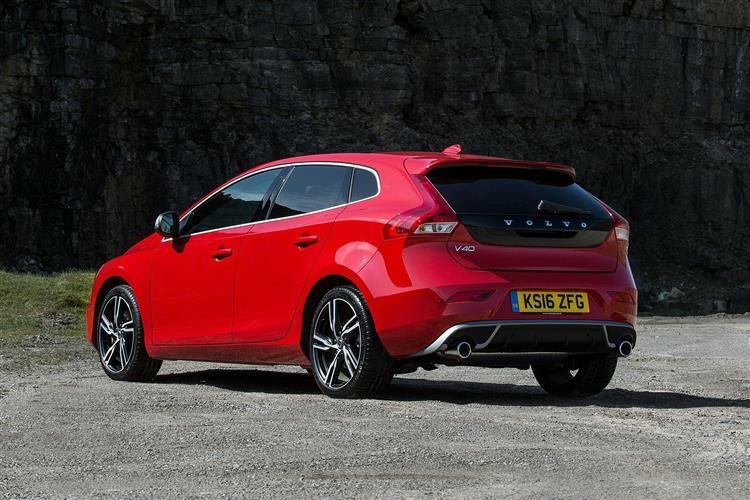 The V40 hatchback is a case in point. Even when fitted with the humble 118bhp T2 petrol engine, this car comes as standard with a tall stack of 'want one'. You might well be thinking that 122bhp from a petrol-powered Volvo that's rammed full of Swedish build quality equals a car that goes up the road like a darted sloth, but the T2 is lighter on its feet than you might imagine. The reason? Underneath the butch good looks is the chassis of a Ford Focus, for as long as most can remember the best driver's car in the family hatch sector. While it's true that Volvo aren't owned by Ford any more, having come under the aegis of Zhejiang Geely since 2010, the V40 nevertheless benefits from that Ford chassis expertise in offering good steering, excellent body control and a decent ride quality. The four-cylinder engine doesn't weigh much and as such, turn-in is much sharper than the popular diesel models. The 2.0-litre unit you get in manual models develops 220Nm of torque, which is as much as you'd get from a Clio Renaultsport 200 Turbo, so it's no slouch. 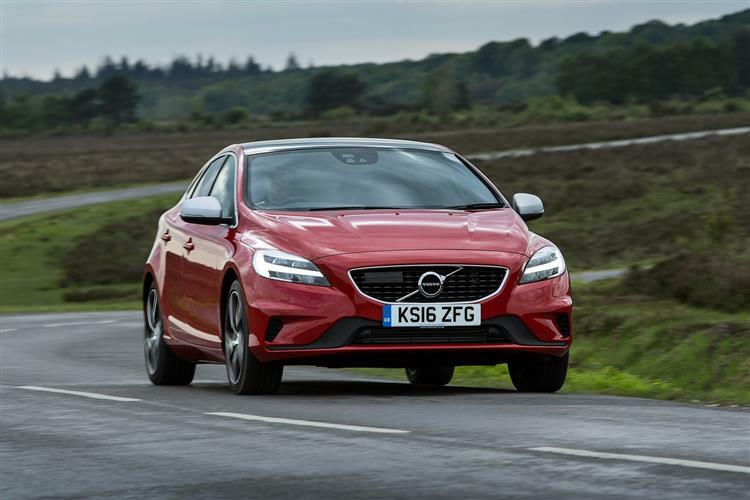 The transmission is a six-speed manual as standard and although it doesn't have the shortest throw in the world, like the rest of the V40 range, you'll find a positive action. Opt for the auto version and curiously, the engine changes completely, to a smaller 1.5-litre unit, though the power and efficiency outputs remain the same. Visibility out of the car is a weak point, with the chunky rear three-quarter pillars making angling out of oblique junctions or parking spaces a bit trickier than it need be. That's the price we pay for style, I guess. This facelifted V40 gets a smarter front end, courtesy of the addition of revised LED headlamps that feature the so-called 'Thor's Hammer' style that's already been seen in the brand's larger XC90, S90 and V90 series models. A smarter grille mesh completes the more confident look. As before, the V40 has a relatively low and sleek bonnet line: that's because courtesy of a unique under-bonnet airbag, it doesn't have to leave an under-bonnet void to meet pedestrian impact legislation. So the bonnet line can be much lower, part of a lean, wide coupe-like stance in a shape very slightly longer and wider than rival BMW 1 Series or Audi A3 competitors. Pleasantly different then, an observation equally applicable in the cabin. Of course it needs to be good if sales are to be stolen from rival German prestige-badged contenders, a tough assignment tackled with an unpretentious 'Designed Around You' philosophy epitomised by a beautifully positioned infotainment screen that, once you've figured out its complicated menus, enables you to deal with audio, navigation, 'phone and other functions almost without taking your eyes off the road. The idea is that, like IKEA furniture, this cabin should be typically Scandinavian, comfortable, simple, intuitive and visually pleasing. And broadly it is. Cabin space is fine and there's a 335-litre boot. Prices for this T2 petrol variant start from around £19,500 in entry-level 'ES' guise. That's around £2,000 lss than the comparable D2 diesel version. As with any car in this class, Volvo has striven to offer as many high-tech options as possible, integrating the sort of features that not so long ago were the preserve of some seriously high-end vehicles. 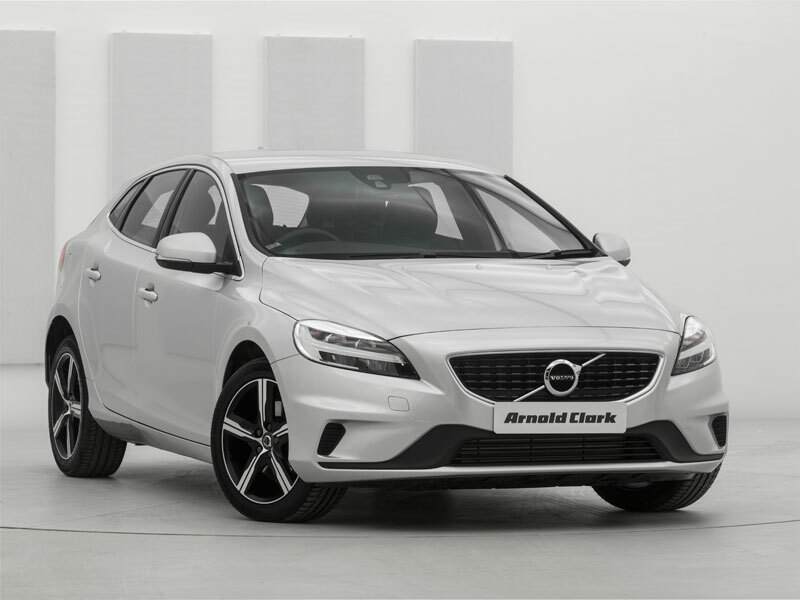 We've got used to features such as adaptive cruise control, blind spot assistance and lane keeping assistance and the V40 offers all of these features. Reducing personal injury claims, especially around town, is a growing concern for both manufacturers and insurers alike and Volvo's City Safety function now functions at up to 31mph rather than the original version's 18mph limit. City Safety keeps an eye on traffic in front using a laser sensor integrated into the top of the windscreen at the height of the rear-view mirror. The car automatically brakes if the driver fails to react in time when the vehicle in front slows down or stops - or if the car is approaching a stationary vehicle too fast. The V40 is also available with the Sensus Connected Touch infotainment system which enables full internet browsing and music streaming from Spotify and Deezer. It also gives access to internet radio stations. This new system connects to the internet via either a 3/4g dongle or via a smartphone. In a very Scandinavian touch, the 7-inch touchscreen uses infra-red scanning technology to allow it to be used while wearing gloves or, if you prefer, by voice activation. 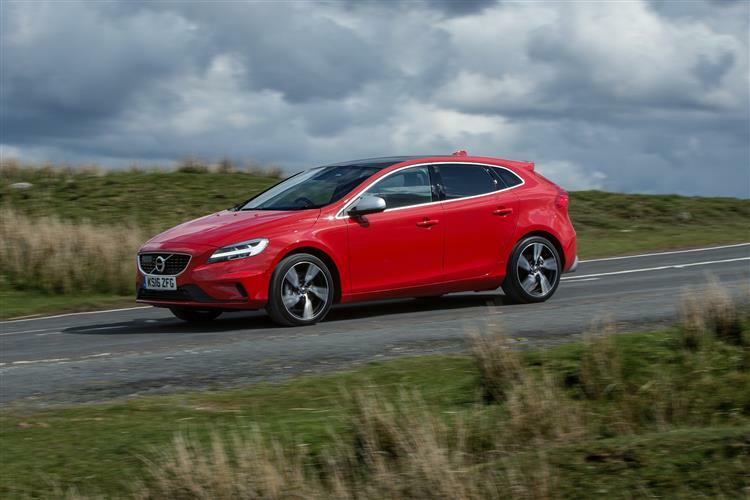 The V40 T2 presents a combined fuel consumption figure of 51.4mpg, which isn't too far off the diesels and the 127g/km CO2 figure is only 28g/km down on a D3 diesel -which is very good going. Go for the 1.5-litre auto version and the fuel figure is the same, while the CO2 return rises only slightly - to 129g/km. All too often in the past, if you opted for an entry-level petrol engine in a car of this kind, you were saddled with something that had no pull, was uneconomical when you were forced to rev it and would also return terrible emissions figures. That's resolutely not the case with the V40 T2. 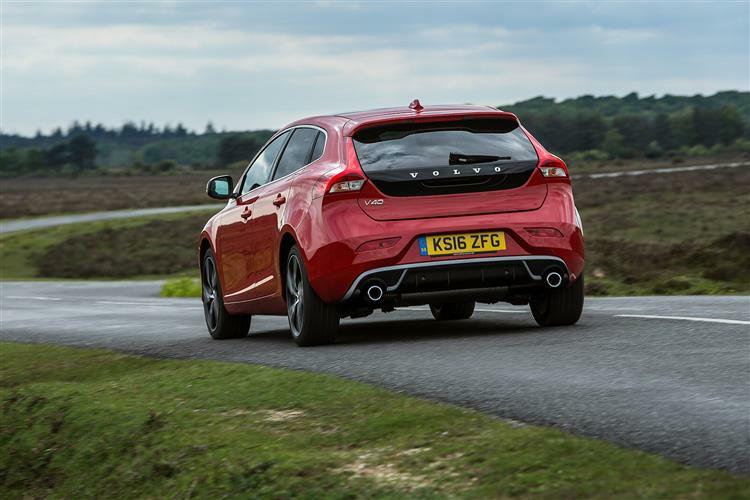 Every model in the V40 range is fitted with Start/Stop as standard which goes some way to explaining that very good fuel consumption figure. The market views the V40 very favourably and used examples are in very strong demand. The T2 is sure to prove popular as it reduces the price of entry to V40 motoring and still offers competitive running costs. In fact for many lower mileage buyers, this might be the best choice in the V40 line-up. Some cars make being very good appear a work of effortless simplicity. 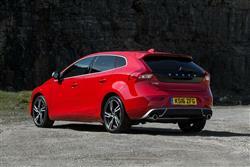 The Volvo V40 is one of them. It doesn't impose itself on you, instead quietly slipping into its role with discretion and downright competence. If that doesn't sound a particularly inspiring formula, then twitch the curtains and imagine one on your drive, even the entry-level T2 petrol variant. It's just got so much more of an X-Factor than a Focus or an Astra. I think I'd probably have one over an Audi A3. It just seems a bit less nakedly aspirational. And therein lies this model's attraction. 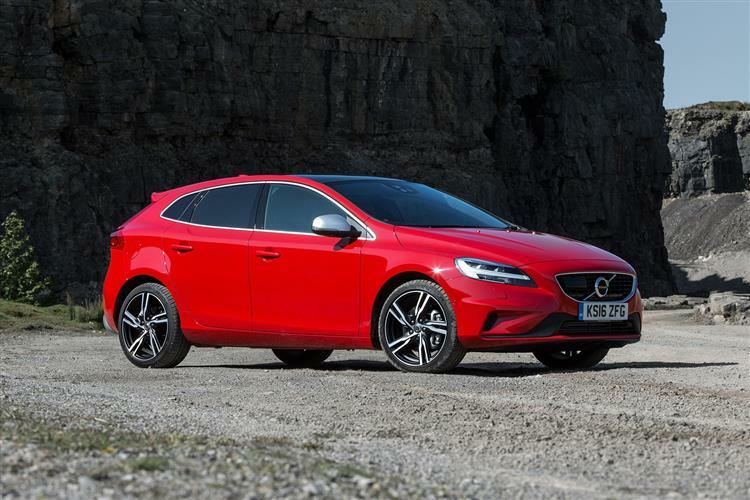 As you ascend the Volvo V40 range to ever more expensive versions, the draw of the premium German badges becomes increasingly difficult to resist, whereas if you're set on spending less than £20,000, going for a BMW, Audi or Mercedes-Benz really isn't that appealing an option. 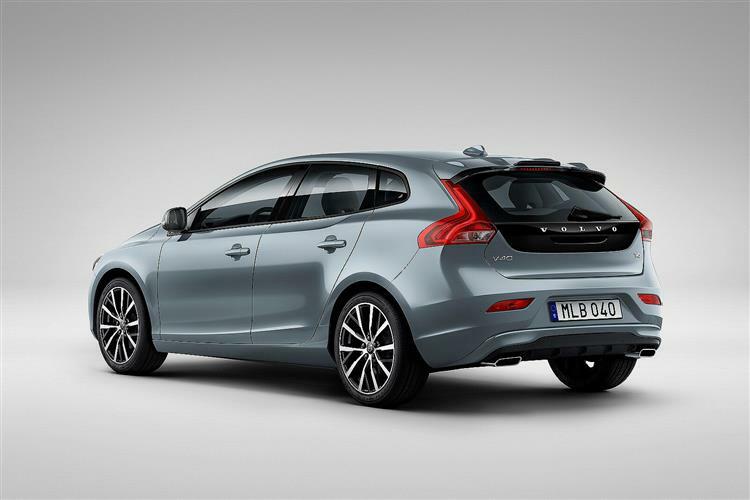 The T2 might just be the most overlooked V40 variant Volvo will sell in this country. It deserves all the luck it gets. To find your nearest Volvo branch, please enter your location.